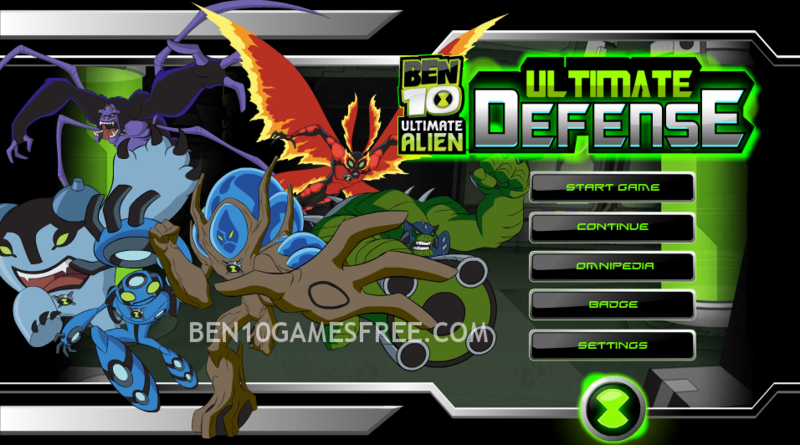 We present you the new game in the Ben 10 Ultimate Alien Category – Ben 10 Ultimate Defense. In this game of ultimate defense, you have to protect the Rust Bucket, Camper from the attacks of villains. Now get all set to be a Ben 10 and save the Camper from the enemies. In Ben 10 Ultimate Defense all you have to do is to correctly set the Aliens, but make sure you don’t get overstressed about the loss of all the money because you will get Omnitrix, which was mentioned by Azmuth. Once you have Omnitrix, then you will get a lot of money. Pro Tip: Don’t do anything after planting the Aliens, they will automatically do everything. Are you ready to play Ben 10 Ultimate Defense? but Wait, before jumping to the Battlefield you need to know about the list of Ben 10 villains against which you are fighting. You need to defend your Base from all the villains coming from the right side in the battlefield. To place the Aliens you have to click on the Ultimate Swampfire Turret and place the Aliens anywhere in the Battlefield. On the other hand, you will get two weapons to fight with the villains coming from the opposite Side. Stop them before they cross the boundary of your Settled Ben 10 Aliens. This game is Inspired by the well known famous game Plants vs. Zombies. Recommended : Play Ben 10 Vilgax Crash Game online for free now! Now you have enough knowledge to make yourself ready to go ultimate level and beat all the different villains and protect the Ben 10 Aliens. It’s your time to feel adventure and do some action. Don’t Forget to give your rating for Ben 10 Ultimate Defense Game and share your tips and tricks to win this game in the comments section below.